Right now, engineers, scientists, and officials from one country in the South Pacific are hashing out a seastead. The movement is an ambitious experiment in aquatic living that’s shaped by libertarian dreams, a pragmatic response to climate change, and a novel architectural experiment. 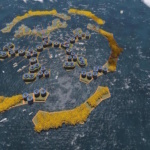 “Seasteaders want voluntary societies based on choice, not force,” said Joe Quirk, Seasteading Institute communications director and author, in a YouTube video on the subject. 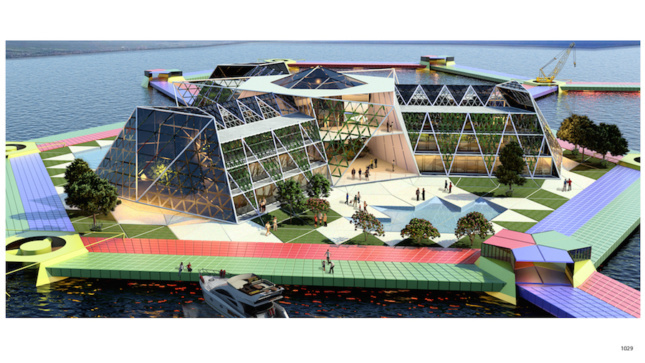 The San Francisco-based organization is on the front lines of the seasteading movement, a Libertarian-influenced crusade that borrows from the language of the American frontier to frame its freewheeling settlement at sea. Decentralized dwelling, the thinking goes, permits members to join or leave the autonomous association at will by simply detaching their dwellings and floating off, literally voting with their sea legs to leave. 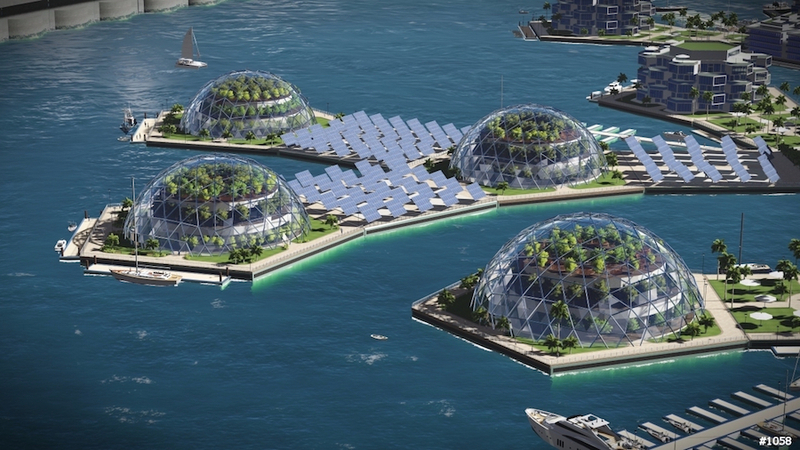 If this sounds far-fetched, well, the first seasteaders may hit the water in just a few years. The community could be afloat soon—like, 2020 soon. 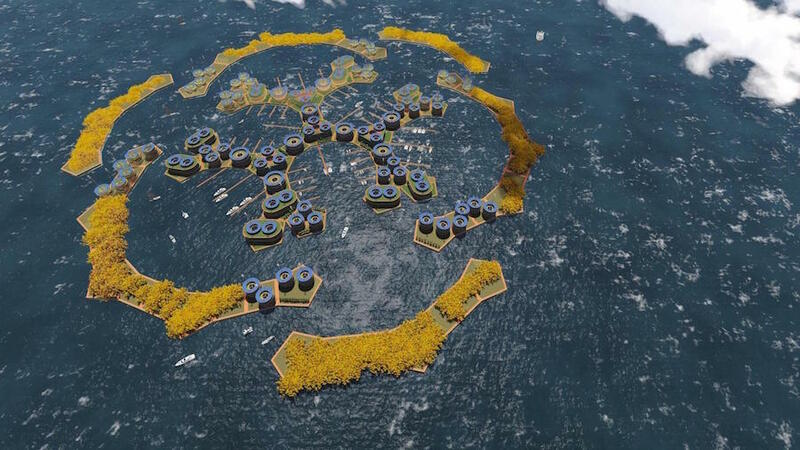 The Floating Islands Project, as it is officially known, will be built with emerging floating-construction technology and is meant to attract investment to French Polynesia. Its sheer novelty has already garnered extensive media coverage. But will it work? 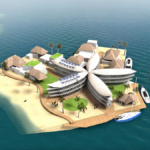 Although seasteaders can theoretically float anywhere, the Institute found a partner in French Polynesia, an island country in the South Pacific. 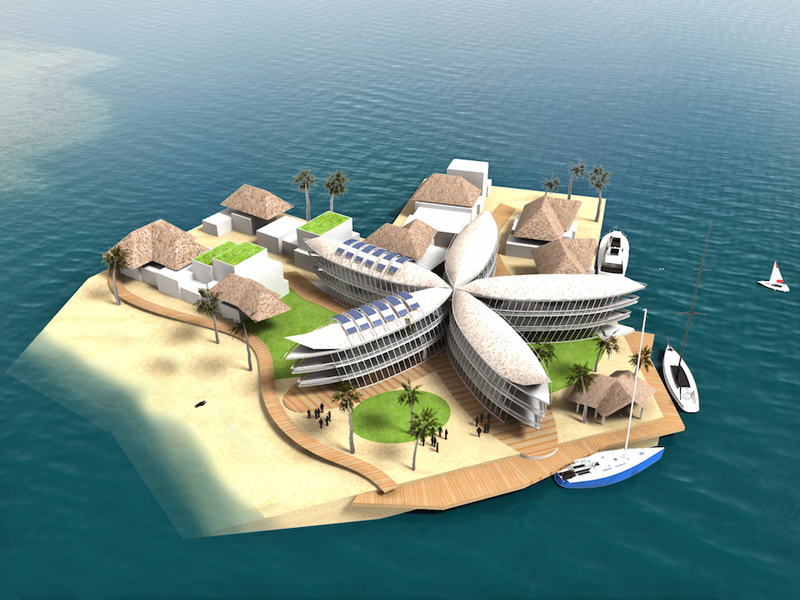 This January, French Polynesia signed a memorandum of understanding with the Seasteading Institute in San Francisco to build a floating island prototype. The project, off the coast of Tahiti, has to demonstrate it won’t adversely impact the environment, and show what it will contribute to the island’s economy, and then the nation will establish an offshore economic zone for the seasteaders. 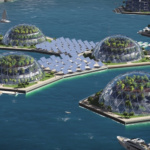 Although seasteading’s libertarian ideals perhaps make French Polynesia—well, any nation—an unlikely partner, the government views seasteading technology as a potential Hail Mary in the anthropocene. Many of the country’s thousands of islands are flat and narrow, a topographic combination that is particularly susceptible to climate change. Floating islands could be a vital survival strategy if (but really, when) the seas rise. In turn, the area’s shallow water and ocean conditions that don’t include high waves make the current technology—which has been pioneered on flat water—more adaptable to ocean conditions. By the end of this year, the Institute, which was founded in 2008 by libertarian activist Patri Friedman, is working with French Polynesian officials to pass a seazone act. If the rules pass, the group will head to Tahiti to develop a pilot program. So who are the architects of the seastead? This is certainly not the first architecture at sea, nor the first time the island-platform technology’s been used. In 2011, a series of floating islands opened in the Han River in Seoul, South Korea, while French architect Jacques Rougerie has designed a floating, partially submerged city shaped like a manta ray. As far back as 700 AD, people have been living for long periods of time on the ocean. But despite its ostensible freedom at sea, the project can’t escape from social concerns. By comparing themselves to American frontiersmen, seasteaders (a term derived from “homesteaders”) invoke the same tabula rasa colonialism that Europeans used to justify the wholesale genocide of indigenous people in the Americas and elsewhere. Is libertarianism, in this case, an aegis for clueless Silicon Valley tech-bro optimism? Quirk and others at the Institute have a new company, Blue Frontiers, whose mission is to develop and build the floating seabeds, so it’s only a matter of time before these questions are answered.